Tonight is Game 2 of the 2016 World Series of Baseball, and a momentous time for the Chicago Cubs fans. The Cubs haven’t won the World Series since 1908, and while Game 1 didn’t go as they would have liked, they still have an opportunity to take control of this “best of seven” battle. 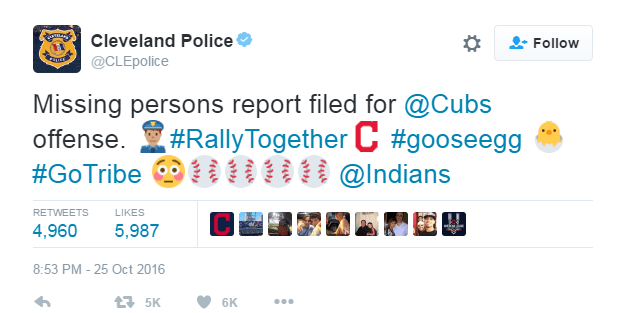 Poking fun on Twitter, the Cleveland Police Department filed a “missing persons” report for the Chicago offense, which failed to score a single run against the Indians. And while Cubs fans’ eyes roll, they have long-tested faith the Chicago offense will turn up to deliver on this (very!) long-awaited victory. Company visionaries never start out with a 108-year outlook for their business, but rather organize growth strategies to help them reach their goals one step at a time. And although the crowning achievement for the Chicago Cubs has been hard to come by, the success of the organization’s short-term strategy is coming into focus. Not to mention, the amazingly loyal fan base that never fails to pack Wrigley Field. In the spirit of the sport, let’s look at four ways to put your business on offense and focus on ways to optimize growth for your team. Galvanize Middle Performers – Those performing at a mid-level for your organization have the most room for growth. Tailor your incentive and recognition strategy to recognize top achievers and incentivize middle performers. 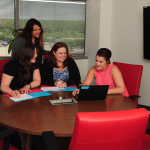 Provide Growth as a Reward – Offering prestigious training opportunities to rising stars shows the company’s confidence in the recipient’s growth trajectory and reflects how valuable they are to the company. Using this as an example will motivate others to perform in a way that elicits the same desired behavior. Find Inspiration to Innovate – Both B2B and B2C companies should look to their customers to identify what is important to them and where to focus innovation. Creating a brand experience and co-creating relevant products and services will position organizations for growth. Put Your Business Out There – However you classify marketing or business development activities, just do them. Host experiential events, bring partners together for educational meetings, organize or attend tradeshows, and promote dealer or sales force incentive travel experiences. These are just some ideas to put your company on offense – to win one game at a time, and maybe even the World Series one day.